Editors: Purcell, R., Randall, R.
This collection examines the multiple ways people listen to, consume, and produce music and sound in an increasingly digital world. Technologies such as social networks, recommendation algorithms, virtual cloud storage, and portable listening devices increasingly mediate both personal and communal experiences with music. While such technologies may be convenient, their unexamined use raises ethical, socio-political, and philosophical questions. This volume brings together multiple contributions which engage with these questions and others posed by emergent musical and social technologies. 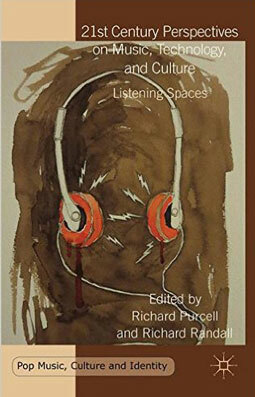 Drawing upon a range of different areas of inquiry, it provides a varied critical approach to the question of how people interact with music in the modern era and debates the universal themes of modern music consumption. Contributors: Richard Randall, Carnegie Mellon University, USA; Richard Purcell, Carnegie Mellon University, USA; Kathy Newman, Carnegie Mellon University, USA; Sumanth Gopinath, University of Minnesota, USA; Carleton S. Gholz, Oakland University, USA; Jonathan Sterne, McGill University, Canada; Kieran Curran, University of Edinburgh, UK; Margret Grebowicz, Goucher College, USA; Graham Hubbs, University of Idaho, USA; Jeffrey Roessner, Mercyhurst University, USA; Damon Krukowski, Harvard University, USA.